Decorate your jacket zipper or purse. A metal Swiss Cross with a lobster clasp for easy attachment to a bracelet. 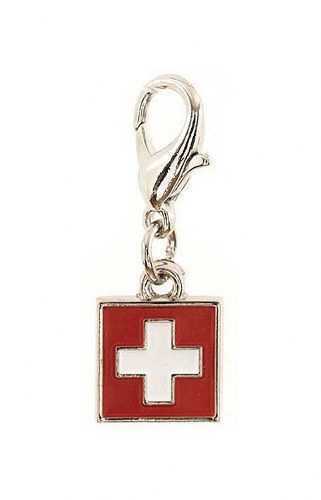 Swiss Cross is 7/16” square, charm is 1” long. Service Area: New Glarus, Madison, Freeport, Rockford, Sun Prairie, Loves Park, Machesney Park, Middleton, Baraboo, Fort Atkinson, Monroe and surrounding communities.